This bird is only found in Mindoro. It is found in lowland forests, usually in flowering trees. Even the locals described it as "usually found in flowering trees". 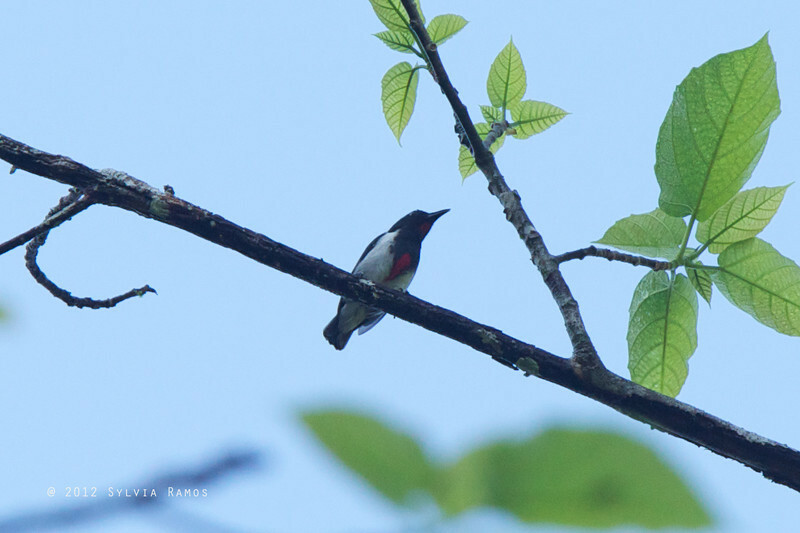 It looks similar to a Bicolored Flowerpecker, except that it has red on its breast, throat, and a small spot on the back. Its call is described as "two pebbles striking together". It is a fast-moving bird, flitting from branch to branch while calling all the while. Once you know its call, it is easier to spot.